Can you believe that Thanksgiving and Christmas are right around the corner? I literally just packed up our Halloween decorations and started putting out Thanksgiving/Christmas decorations. It can be so overwhelming to decorate my house and get it ready for guests. In fact, I have a few tricks up my sleeve to make the process fun and efficient. 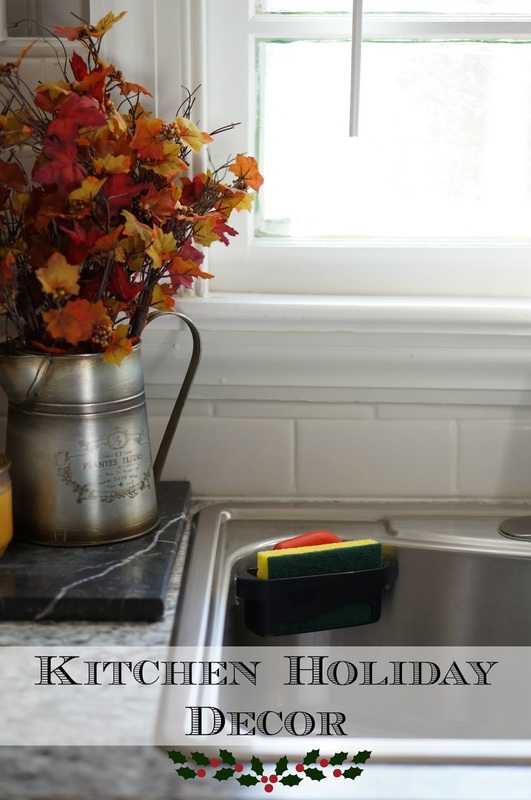 These are my tips for getting your kitchen ready for the holidays! There is nothing more festive than bright, bold pops of color. Decide on a few colors that you love and stick to those. I stopped by Walmart and picked out a few coordinating pieces that really stand out. I love that this rug has fall colors in it, but the red is so pretty I’ll keep it around for Christmas as well. It’s so overwhelming to walk into a store and see all the different coordinating pieces and want to buy them all. The truth is, you don’t want your house to look like the holidays threw up in it. A few well-placed, pretty pieces are all you need to refresh your decor. At the last minute, I decided to throw this candle into the mix. It’s not where I normally put my candles, which is probably why I didn’t initially think about it. This color ties into the items all around the room, so it brings it all together. While I was shopping for decor, I also had to pick up my favorite Scotch-Brite™ Brand sponges. I actually have two sponge ‘stations’ near my sink. 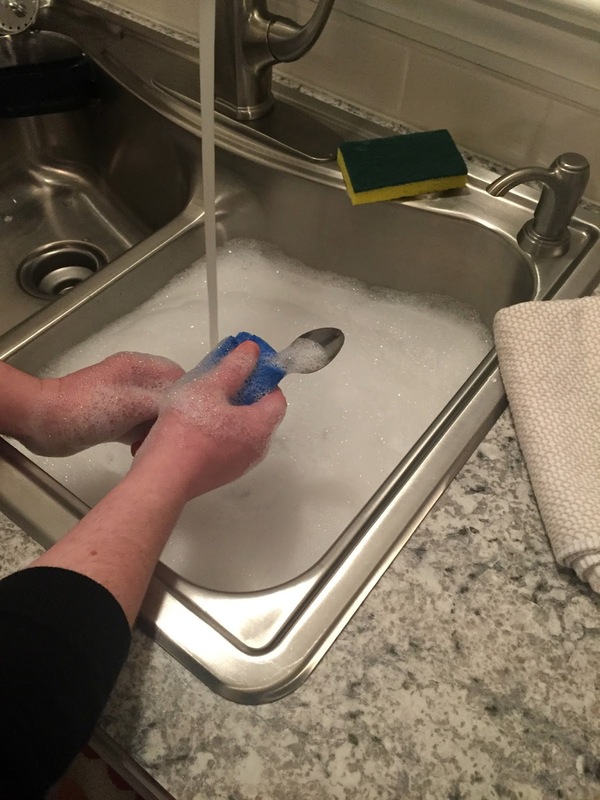 One station has the dish soap and our Scotch-Brite® Non-Scratch Scrub Sponge (below). I use that sponge on our non-stick cookware, counter tops, stove, etc. The other station (above) has our heavy duty stuff. It holds our Heavy Duty Scotch-Brite® Scrub Sponge. I use that sponge on our pots, pans, and other messy items. When I’m getting ready for company, I don’t need to be scrambling to find a good sponge. 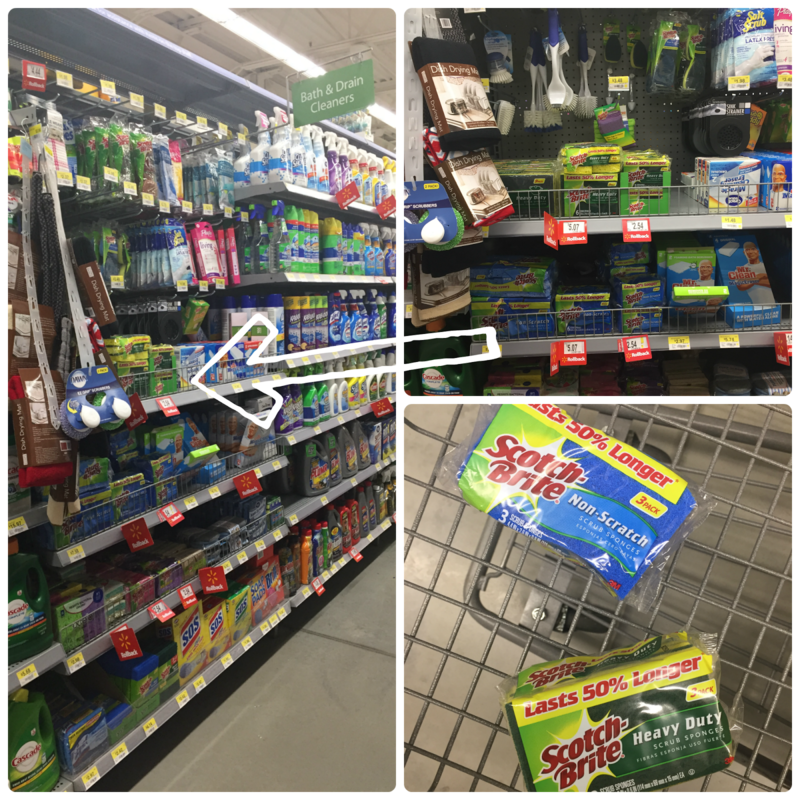 Walmart carries both of these sponges in packs of 3, 6, or 9, so we’re always stocked up. And it’s super easy to remember which sponge does what, because green is heavy duty and blue is non-scratch. Try not to focus all your decor in one part of the room. We have our holiday items spread throughout the kitchen, from the sink to the stove to the coffee station. I especially love these mugs that are so festive for the holidays. They’re just enough red/green that we’ll keep them around long past the holidays. And our Scotch-Brite® Non-Scratch Scrub Sponges get them squeaky clean in no time! 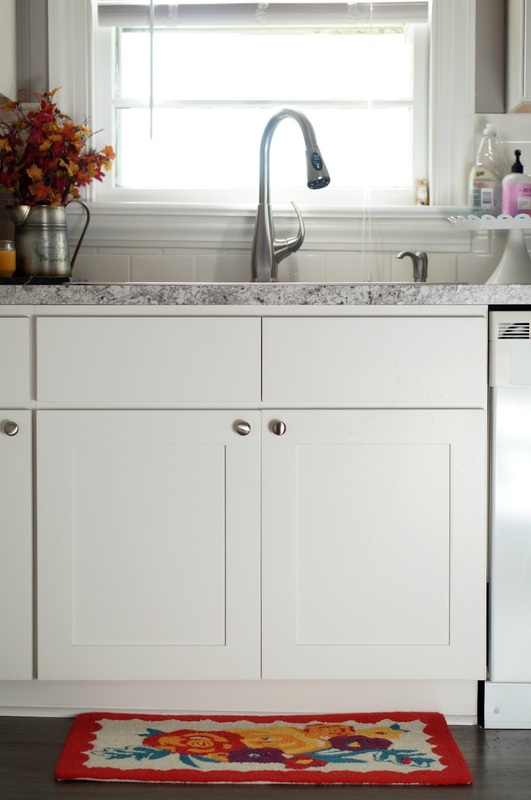 If you use the right tools for each surface, cleaning your home will be so much easier and faster. This is where I get my Scotch-Brite™ Brand sponges at Walmart. Want to find more great cleaning solutions? Check them out here.